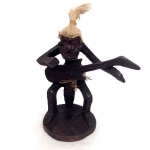 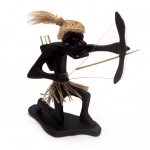 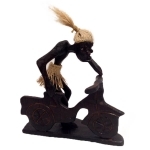 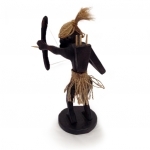 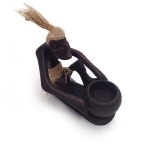 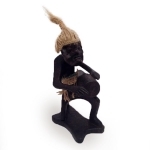 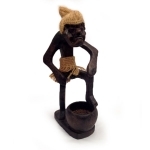 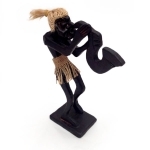 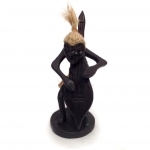 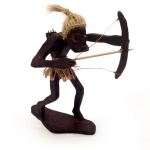 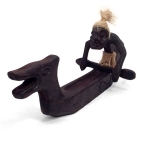 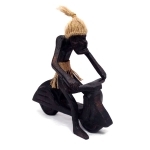 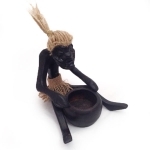 Made in Java, Indonesia, these hand carved wooden figures represent primitive form with a funky twist. 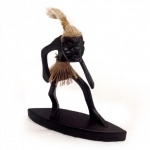 They are mainly painted black with glued details (hair and skirts) made of rope string. 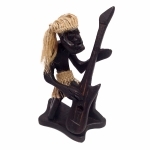 Some are playing traditional tribal musical instruments such as percussions, and gongs but also instruments generally associated with western culture such as the electric guitar, or the chello. 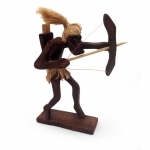 Others are engaged in hunting (bowmen) or other activities. 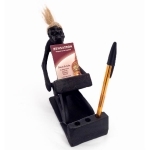 While some are more practical, particularly our ashtrays and pen/cardholders! 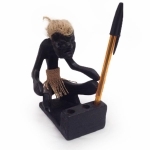 In any case, they all have a cheecky sense of humour and will make memorable, original gifts! 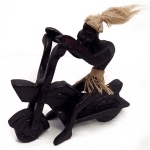 All items in this category are handmade and unique as a result, you may notice slight individual piece differences, including wood grain variations, painting patterns and paint colour.